Experiment with the astonishing properties of Martian sand! Then, explore the included book packed with amazing Martian facts, profiles of famous astronauts, plus plenty of planetary jokes to share with your friends. Experience the magic of Martian sand! Meanwhile, the included book is packed with amazing Martian facts, profiles of famous astronauts and cosmonauts, plus plenty of planetary jokes to share with your friends. There's even a little green Martian to befriend! 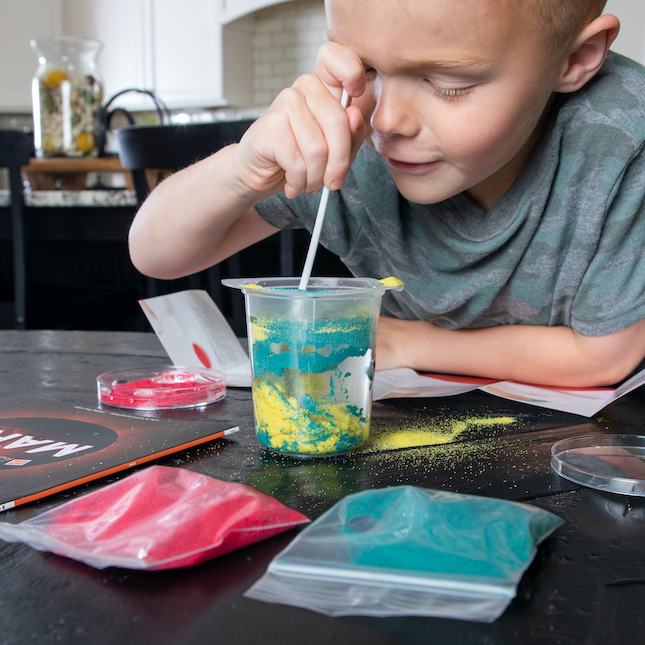 Send your young space cadet's imagination rocketing into orbit with the Surprise Ride Experiment with Mars Sand Activity Kit. Explore the amazing properties of Martian sand while learning fun facts and funny jokes! A fascinating adventure for future astronomers!